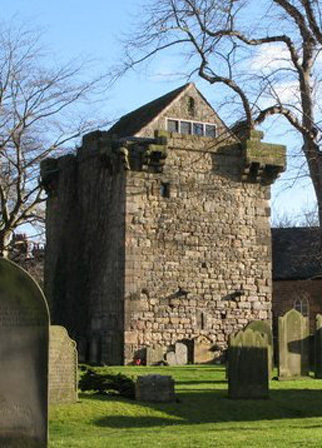 The C14th Vicar’s Pele at Corbridge is the best-known and best-preserved of the ‘vicars’ peles’ of Northumberland, standing on the side of the churchyard of St. Andrew’s Church, in the Market Place. This historically important building with 1.4m thick walls, is both Grade I Listed and a Scheduled Monument. 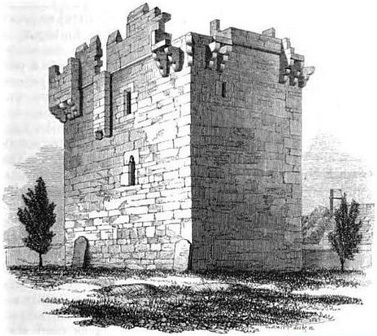 It was constructed mainly from Roman ashlar stone blocks, robbed from Hadrian’s Wall at Corstopitum. The masonry in general has remained in fairly good order despite the years of dereliction and the large first floor fireplace in the North wall is being reused as the main source of heating for the first floor space and above. Our client purchased the Pele with a view to opening the building to the public – and in particular using it as a wedding venue. 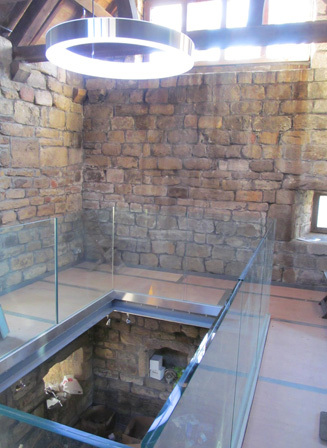 We have inserted a new second floor one metre wide perimeter viewing platform. 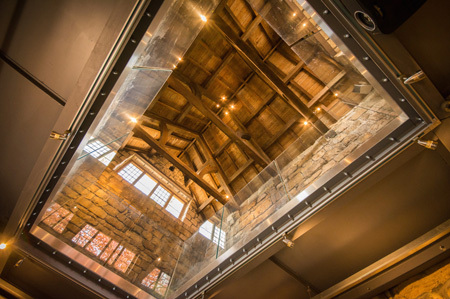 A steel framed floor structure with steel plate floor panels and structural glass balustrading enables the roof to be viewed from the first floor, but allows the notable ‘Vicar’s bookrest’ in the North west corner to be seen at close quarters and provides views from windows on this level to be enjoyed for the first time in over 300 years.